“Coming into the winter months especially, supporting the older horse’s immune system is imperative, however the additional benefits of feeding Aloeride are also improved support to coat and hoof condition and assisting healthy digestion are all key factors for the veteran horse or pony. 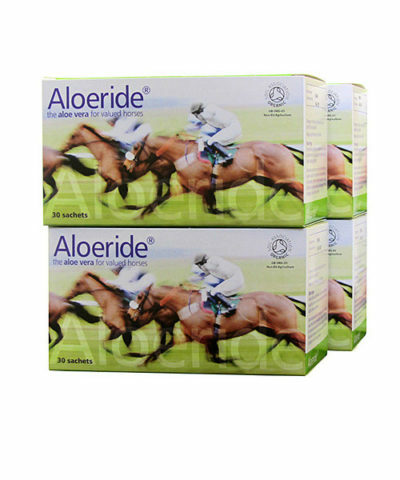 Aloeride is palatable, easy to feed and gives great support quickly even in older horses”. Julianne Aston, West Wales. Worn or loose teeth often means that old horses and ponies are unable to chew their feed properly. Regular veterinary dentistry in younger years helps prevent this, whilst it remedies in the latter years. Note that periodontal (gum) disease is the main driver in tooth decay and that a well-nutritioned (think micro-nutrients!) horse has a greater resistance to tooth decay. Choose easier-to-chew feeds and steam rather than soak it. Whereas soaking makes any mould and fungal spores swell, the heat of steaming kills them. Steaming is better for dentition as well as for the respiratory system (think COPD). The challenge is to give veteran horses nutritious feed that is easy on their teeth and molars. 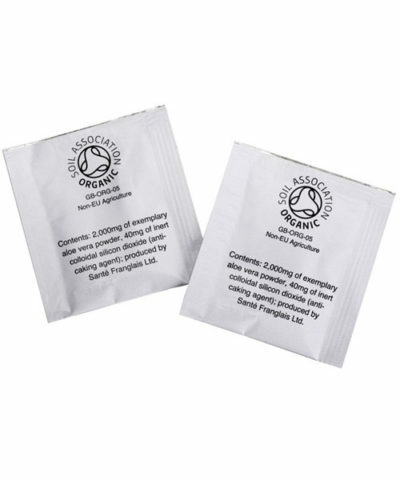 For the extra nutritional support for veteran horses, 1 sachet of Aloeride aloe vera sprinkled over and mixed in with feed works beautifully. Beyond mechanical breakdown of feed by chewing, digestive enzymes (note that horses make enzymes from micro-nutrients) are not as abundant in veterans and this contributes to poor chemical breakdown of feed, and yes, this is a vicious circle. So, between poorer mechanical and poorer chemical breakdown, it’s hardly surprising that in veterans a diminished nutrient uptake follows. Nutritional intake being what goes into your horse’s mouth. Nutritional uptake being what ends up in its red blood cells that fuels every function of its tissue cells. Nutritional expenditure (i.e. usage of nutrients) changes due to an increasing need to keep progressive degeneration under wraps. Aloeride supports your veteran’s digestive tract – so very useful in feed sensitivity – and in doing so, it helps improve nutrient uptake, so it can cope better with the nutrient expenditure. 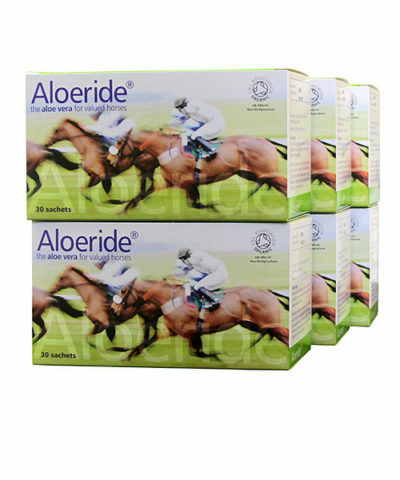 Aloeride itself provides a very broad spectrum of nutrients in a very significant servings (2,000mg per sachet equates to 400ml of original aloe vera juice). This is how nutritional support for veteran horses becomes easy to achieve. For most of the year your veteran horse will do best on low glycaemic index feeds. Keeping blood glucose levels steady makes a huge difference to your veteran’s comfort and wellbeing. Proper research on generic aloe vera show it to support the natural control of blood sugar and, between Chromium being necessary for Glucose Tolerance Factor and its unique polysaccharides, this is hardly surprising. Important to note here that aloe quantity & quality in commercial products varies wildly. There are various senior feeds on offer with low GI (slow release sugar content). When your horse is on Aloeride, you can save yourself the expense of buying senior feeds with added glucosamine or extra biotin. Winter can be a difficult time for your elderly horse as energy requirements may increase by 30% or more simply to maintain body temperature. That is why some veterans lose weight particularly as grass quality deteriorates and the weather gets colder and more damp. Obviously veterans with poor teeth or previous worm damage get into grazing trouble first. In veterans the absorption of protein gets less, not least because veterans produce fewer enzymes that cleave protein. Thus it is extremely helpful that Aloeride provides a broad spectrum of highly absorbable aminoacids (proteins would have been cleaved into aminoacids i.e. Aloeride helps by skipping that step) that are essential building blocks for health. 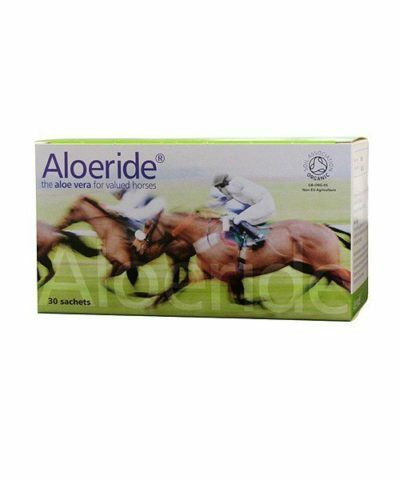 Between such extra nutrients and low glycaemic index, veteran horses on Aloeride fare extremely well in respect of condition. Having more muscles has a very positive effect on how stable and thus comfortable joints are.